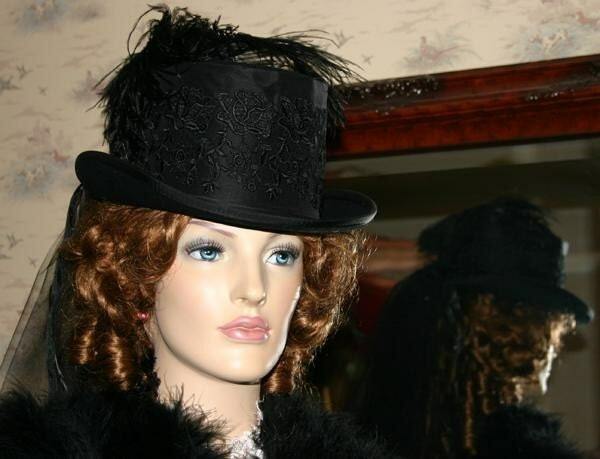 Victorian Hat "Victoria" is a perfect hat for your Steampunk wardrobe. It's designed over a wool felt top hat with a lining. 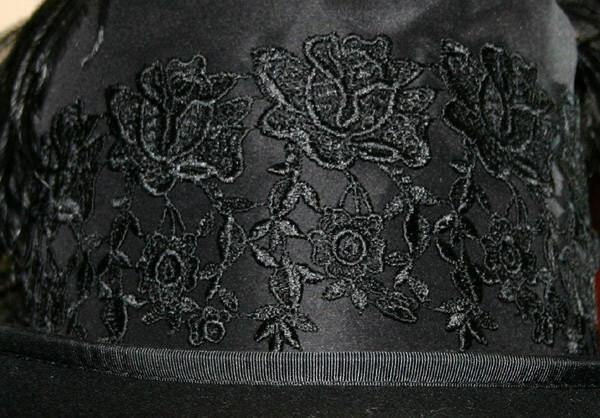 The hat band is black silk with a black Venise lace overlay. The veil is a two tiered finger-tip length black tulle accented with rhinestones and a satin ribbon edging. The back of the hat has two gorgeous satin and organza millinery roses and beautiful black ostrich feathers accenting the crown. 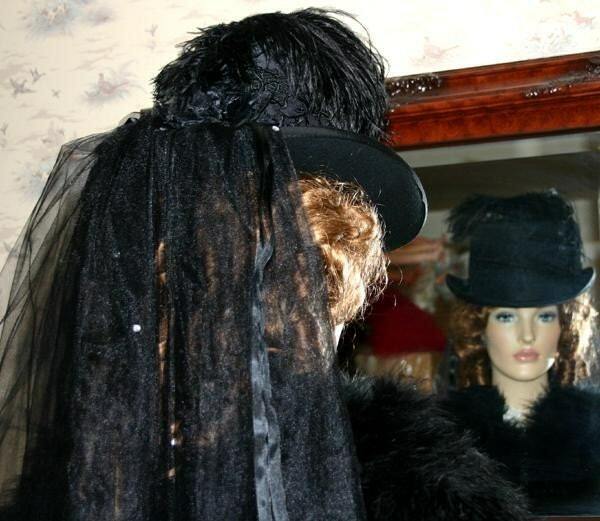 This hat is perfect for the Victorian reenactor or for a costume party. SM, M, L & XL Sizes ~ Please let me know your head measurement you need when you order. Due to the nature of the product and the fact that all items are hand-made and in many cases one-of-a-kind, there are absolutely no refunds. This hat is SO GORGEOUS!! I am just thrilled with it! The hat is perfect. The owner is great to work with. I will be buying more. Beautiful! I have always wanted a riding hat and this one is just perfect!